As we celebrate the sixteenth anniversary of our founding as a Milwaukee web design company, I thought about what I could write besides the typical "we look back on another year" stuff. A couple articles I stumbled upon teamed up to lob me a softball. The first was from Inc. Magazine. The article praised the value of "the designer who codes" as a "new breed of tech experts." I had to re-read the piece several times to see if it actually said what I thought it did. The premise is that the best user experience comes from team members that understand what it takes to create both the intuitive design and the robust back end technology to make it happen. My beef isn't with the concept. That's dead on. It's the fact that somehow it's the coolest new thing to roll down the highway, when it's been at the core of what Trivera has been doing for 16 years. From the very beginning everyone on our team has understood that results-producing web sites are about creating relationships that build trust and result in a transaction. A critical component is to make sure that the technology doesn't get in the way, but rather, transparently re-enforces the brand experience between the company and the customer. That kind of interactivity requires the "smart design" and "creative technology" that have actually been our tagline all along. The other article trumpeted a "new" idea called a responsive web design, which it defined as an approach that proposes that a web site's design should respond to a user's environment and behavior, based on the platform, orientation and screen size. For some reason, now that there are iPads and Smartphones, we suddenly must now pay unique and individual attention to what visitors should see and experience when they come to a site. And while Web developers are playing "stupid HTML tricks" now to make sure the design looks perfect in every device possible, again, they're missing a bigger point. 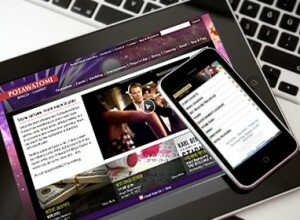 Truly responsive web design is based on more than just the device being used to view the site. 1.) Who is coming? 2.) How did they get there? 3.) What did they expect to find? 4.) What did they use to access it? 5.) What does it need to do to encourage and facilitate a transaction as quickly and easily as possible? I've said it a million times. Even though it's at the heart of our unique selling proposition, it sometimes becomes just recitation. But the other day as I went through the list, a prospect stopped me. He grabbed a pen, took out a piece of paper and said: "Can you repeat those, please?" It's not rocket science, so why does it seem so revolutionary? Because so much of the web over the past 16 years has been "about the art.' Pretty pictures. Built in Flash. Incompatible with many browsers and devices. Limited in functionality due to lack of technical expertise. It's been created by agencies who view index.html as a new canvas that can't wait to be the vehicle for their next wonderfully creative expression. Who needs concepts like usability, intuitive navigation, conversion funnels when it's really all about the art? I'm not diminishing the power of great graphical presentation, but a tepid economy is forcing businesses to demand measurable results for their marketing. For too many years businesses have laughed at the axiom: "Half my marketing money is well spent, the other half is totally wasted, but I just can't figure which is which," and then went on to pay marketing firms and advertising agencies huge sums of money for campaigns that favored creativity over measurability, and art over ROI. The fact that everything that happens on the web is measurable is causing marketing gurus finally to see the light. But those of us who have been shining that light for over a decade and a half are saying it's about time. Since that January day in 1996 when we opened our doors as one of Milwaukee's very first web development companies and introduced "web sites with vision," we have focused on delivering demonstrable, measurable, and improvable value for our clients. It is…and always has been…about knowing exactly what the client's goals and visitor expectations are, and making sure that the design and technology work together intelligently to meet them both. From our first e-commerce-enabled web site in 1997 and our first mobile website in 1999, "responsive web" has been at the core of what we do. What's now being called responsive design isn't just the next shiny object. It's "Smart Design and Creative Technology" that has differentiated us from our competition these past sixteen years, and is what will keep us leading the pack for the next sixteen.